Over the past 45 years ELS has helped one million students - just like you - meet their English language study goals in the US. By providing a unique American experience and Intensive English immersion programs of the highest caliber! 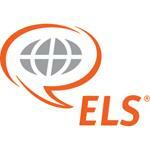 ELS English programs are offered for students who wish to attend a college or university in the US, need Business English to advance in a career, or simply want to improve their English and explore the US. With over 50 locations across the US, most on university campuses, ELS allows you to select the study environment and program that is perfect for you! Through our partnership with the ESL Directory, you can learn about our locations individually and enquire directly to that school if you would like further information. Spread across the entire USA, there is a location and school that is right for you!